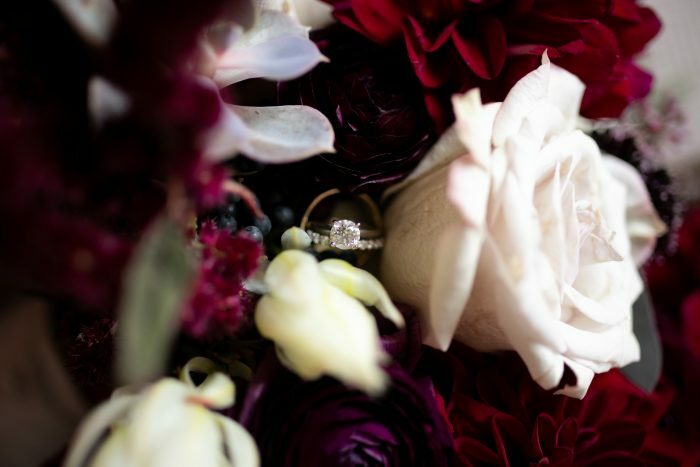 Our first look was one of the most intimate and beautiful moments of our day. Also, we had a private “last dance” as all the guests went downstairs to await our grand exit. We were so glad that we did that. 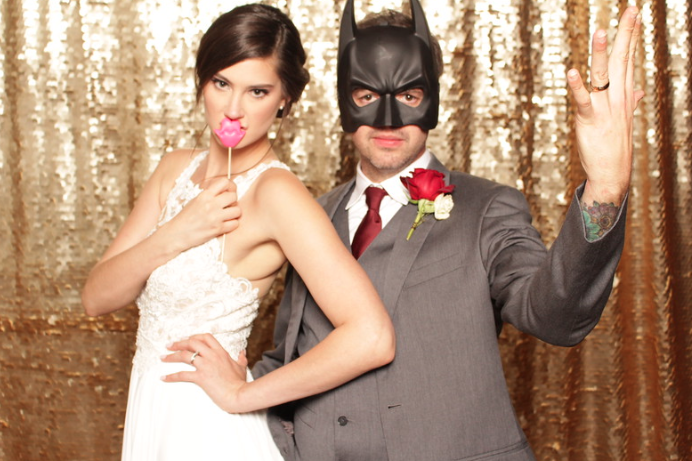 We loved our Photo Booth and so did our guests! Our DJ also kept everyone grooving the whole night! 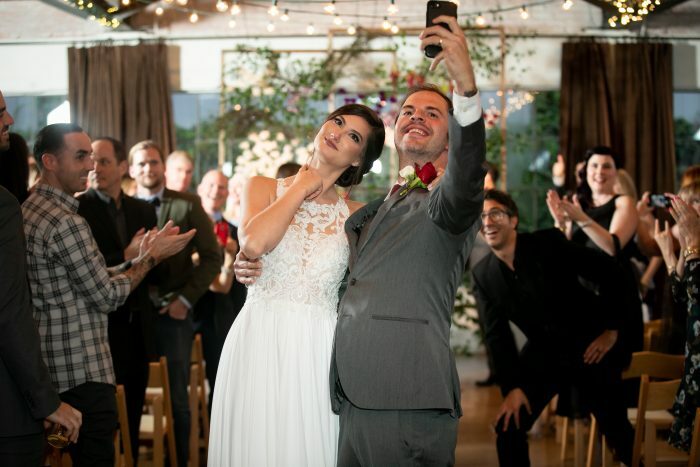 After exchanging vows and rings, my partner pulled out his phone and took a selfie with us and all of our guests in the background. I was completely unprepared, but it made for a great photo! 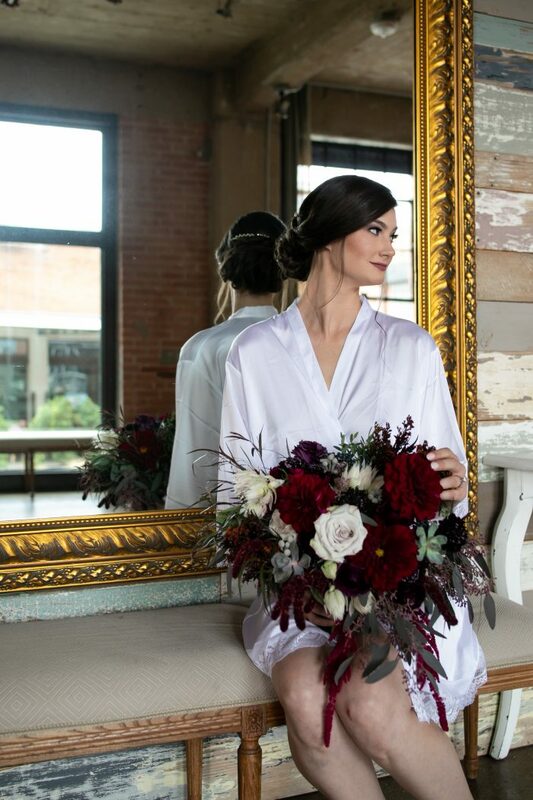 There was absolutely nothing traditional about our big day. We batched delicious cocktails and named them after ourselves. We also had a champagne tower. Why? Because it was AWESOME. We did a staycation at a beautiful hotel in Dallas. We’re postponing our honeymoon to Croatia until the summer due to a job promotion. We are looking forward to all the next big chapters in our future together. Buying our first home, children, and probably adopting more cats. 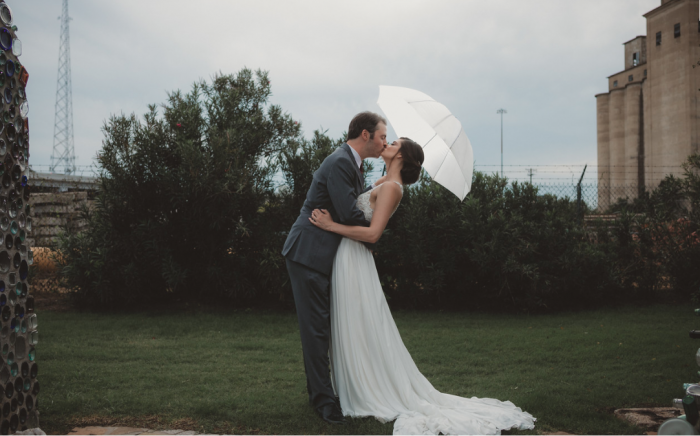 This was shortly after our “first look.” We were incredibly grateful for the rain! 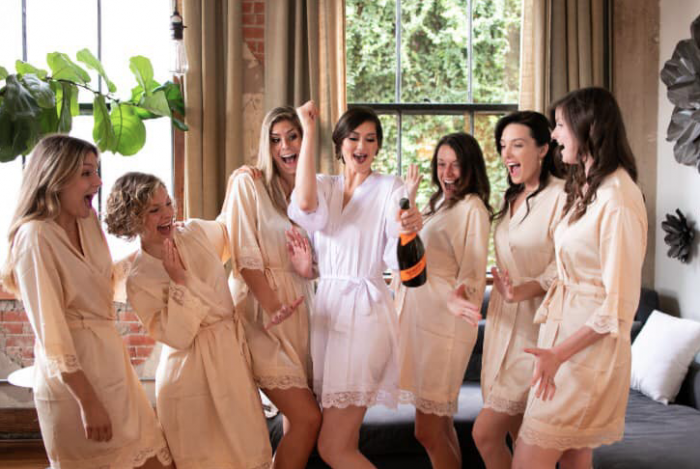 Cracking the bubbles with my best girlfriends while we got ready! 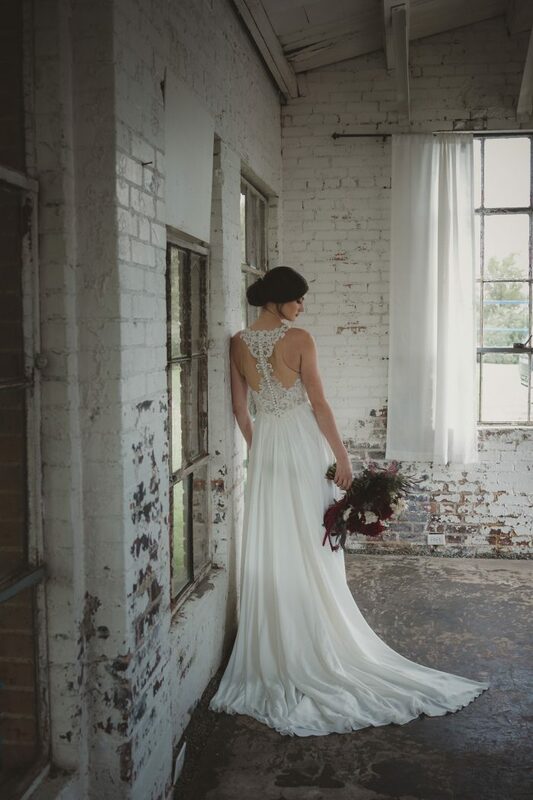 Bridal portrait…obsessing over how much I loved the back of my gown. Photo Booth fun with Bat Husband. 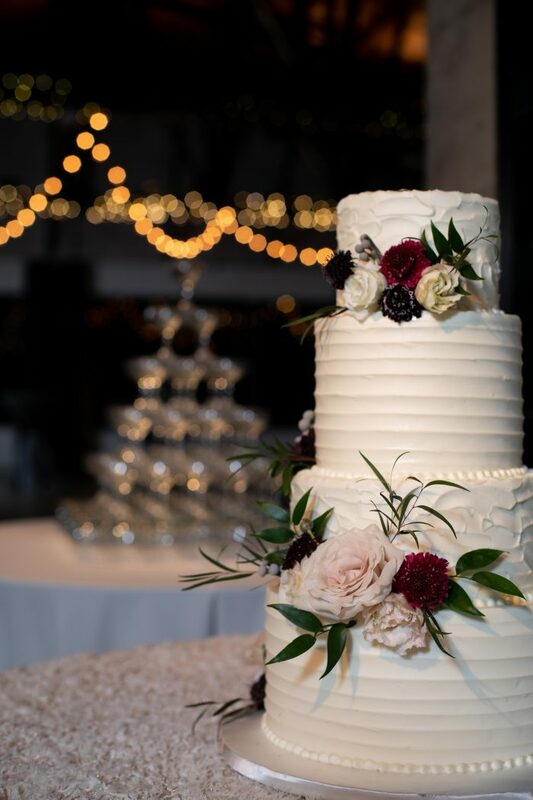 Champagne tower and perfect cake were so beautiful! 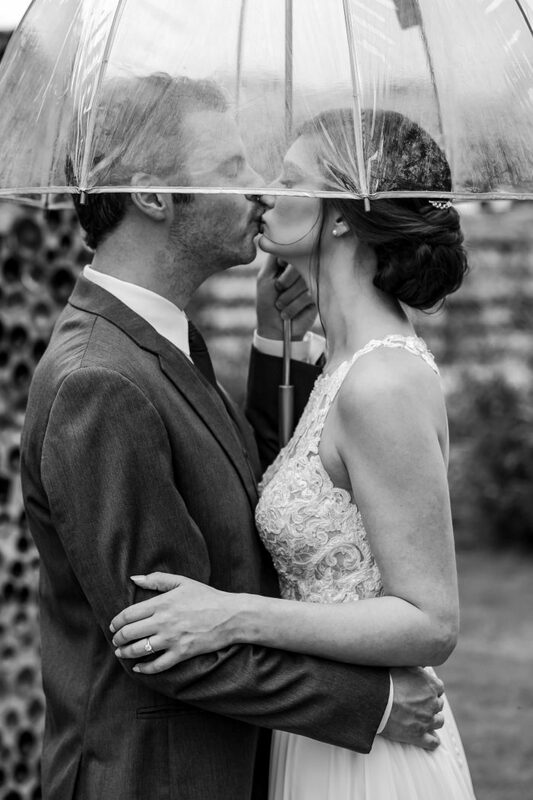 Loving how much romance the rain and umbrella made this shot.